In a recent, very insightful interview, Tiger Woods said that the game had changed in the last 5 years. generating faster ball speed, while having amazing spin properties on approach and greenside shots, along with amazingly soft feel. He’s right. 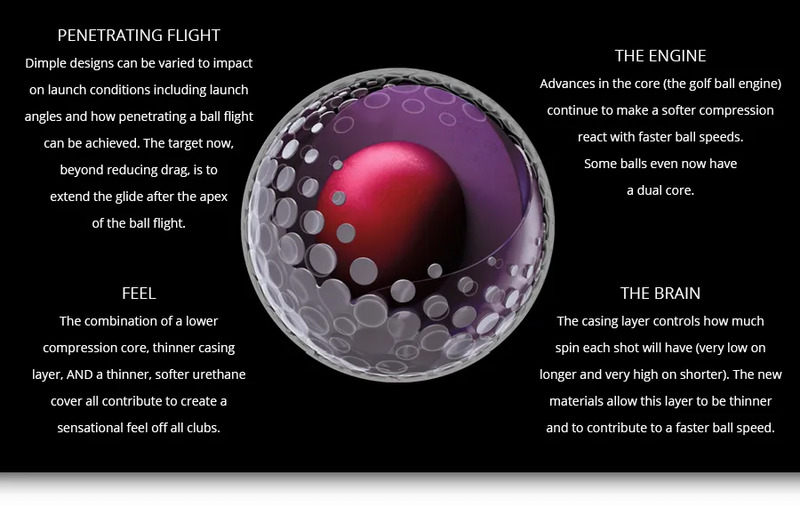 Golf balls are not all equal. Some offer different compromises. Some respond differently to different swings. Some are more durable. Some are less expensive. And some are of a higher quality. But, in every case, playing consistently with the same model of golf ball (one that fits your swing and preferences) will allow you to hit better shots more often whatever standard of golfer you are.